Justin Bieber is once again being sued by the neighbor whose house he egged, on the grounds of emotional distress. 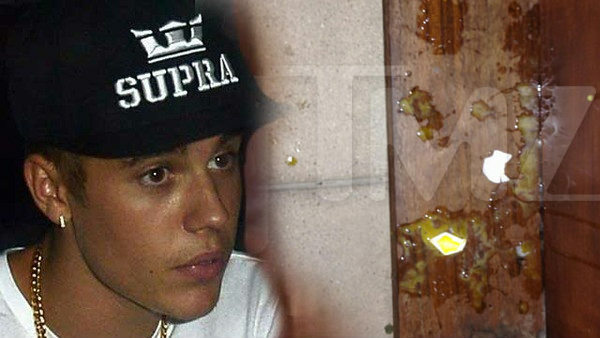 Jeff Schwartz claims that months before Justin threw eggs at his house, his bodyguard shouted anti-semitic abuse. Schwartz wants damages for emotional distress. Schwartz is also claiming emotional distress based on the disturbance caused by Justin’s parties and drag races, and alleges JB spat on him. Justin reportedly denies the spitting. In January 2014, Justin threw eggs at Schwartz’s home, allegedly causing thousands of dollars worth of damage. In July of that year he was ordered to pay $80,900 in damages and sentenced to two years’ probation for vandalism over the incident. He was also ordered to complete five days’ community service and a 12-week anger management course. Justin Bieber Completes Anger Management Class – on Probation until 2016! How do we know the Bodyguard said that; this guy hates JB so much he’s suing him again for more money bringing up and exaggerating the same old stuff from 2013. He previously lied about being spat upon; the D.A. rejected that for lack of evidence; why not lie again?